Former First Lady, Michelle Obama, will give a keynote speech at this year's BOLD conference. She will offer delegates insights into her personal story, policy initiatives she is working on, her passion for wellness and her vision for the future. Among Obama's wellness-related work has been the Let's Move! campaign, a comprehensive initiative to inform parents and children about healthy choices, including providing healthier food in schools and helping children become more physically active. Obama launched Let's Move in 2010 – the same year that she began serving as the honorary chair of Partnership for a Healthier America (PHA), which is devoted to working with the private sector to ensure the health of the nation's young people. The annual BOLD event, organised by wellness tech platform Mindbody, is aimed at fitness, beauty and wellness business owners and professionals and will be held from 18 to 20 September in San Diego. 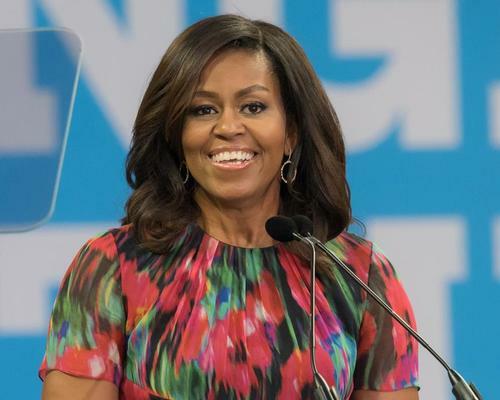 "In so many ways, Michelle Obama embodies Mindbody's purpose of connecting the world to wellness," said Mindbody CEO and co-founder, Rick Stollmeyer. "Both a powerful role model and passionate activist for youth wellness, she shares the same drive as the businesses we support: bringing communities together to help people live healthier, happier lives."